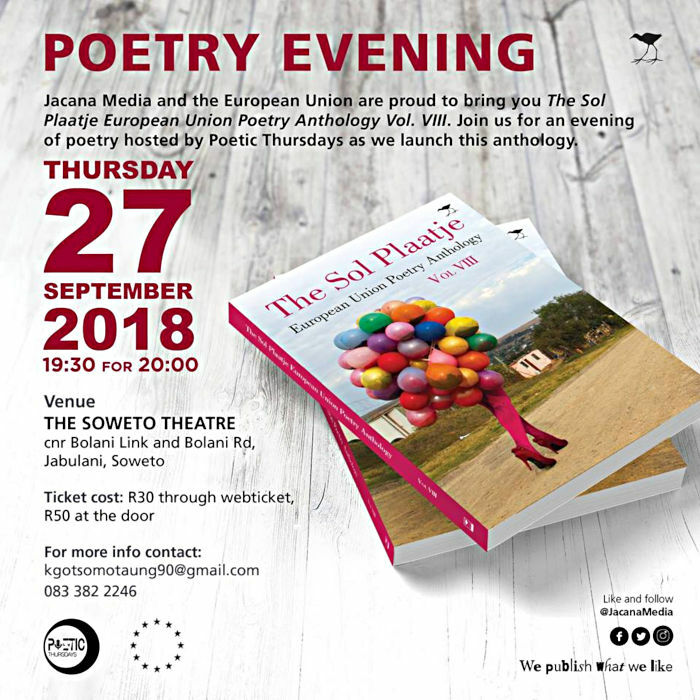 Jacana Media and the European Union are proud to bring you The Sol Plaatje European Union Poetry Anthology Vol. VIII. Enjoy an evening of poetry hosted by Poetic Thursdays at the book’s launch. The seventh volume is a collection of the strongest entries for the 2017 Sol Plaatje European Union Poetry Award. This edition of the anthology continues the legacy of social and political activist, intellectual giant and writer Solomon Tshekisho Plaatje (1876–1932).